As a huge fan of the Dead Space series, I decided to recreate a level from the game as way of becoming intimately familiar with Unreal Engine 4. 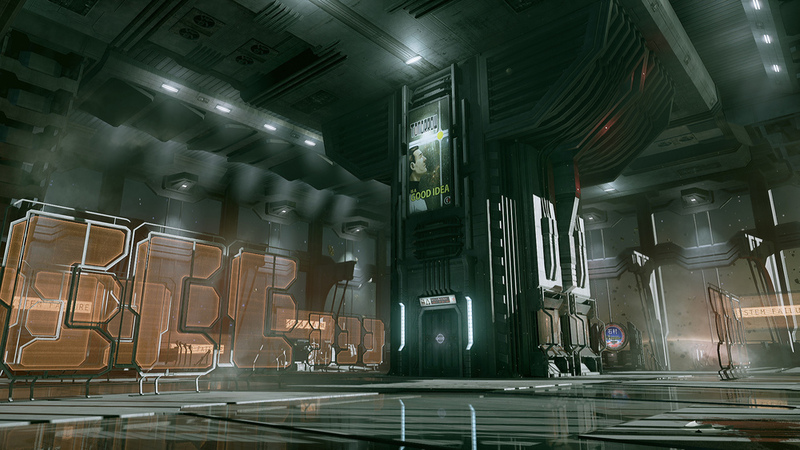 I choose the 'Main Atrium' level from Chapter 4 for its open view into space and dramatic lighting. All models, textures and effects were created by myself using Unreal Engine 4, Maya, Photoshop, and Crazybump with the exception of a few default Unreal assets and the in-game posters, which are from the original game. Special thanks to Unreal Engine users Koola (for his sharpening filter) and JBaldwin (for his planet shader).